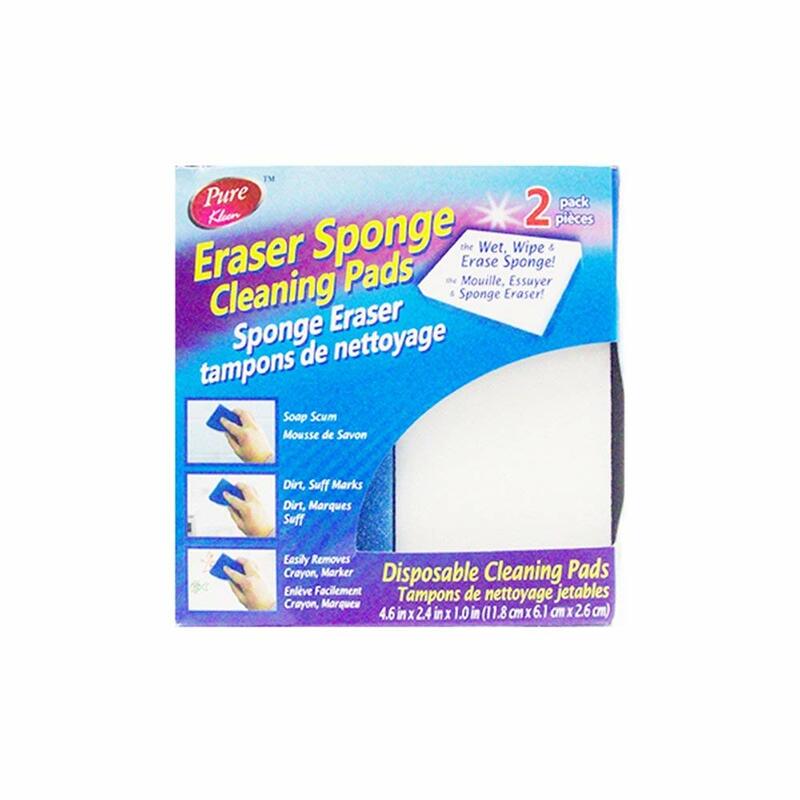 Pure kleen Eraser Sponge Pads are stronger to last longer than conventional sponges. The cleaning pad's micro-scrubbers reach into the surface grooves, lifting away built up dirt and grime. The pads are so tough they remove more grime per swipe vs. the leading all-purpose bleach spray cleaner. Use them on textured surfaces, plastic patio furniture, alloy car wheels and so much more. Weight 0.27 kg. • Cleans with water alone. • Dimensions: 13 x 3 x 13 cm. • Looks like a sponge, cleans like magic. • Cleans textured surfaces, plastic patio furniture and alloy car wheels.